DUBAI: The UAE has been ranked 8th on the Positivity Index of Nations, an annual global report published by the Positive Economy Institute since 2013, which measures positive economy indicators in OECD member countries. 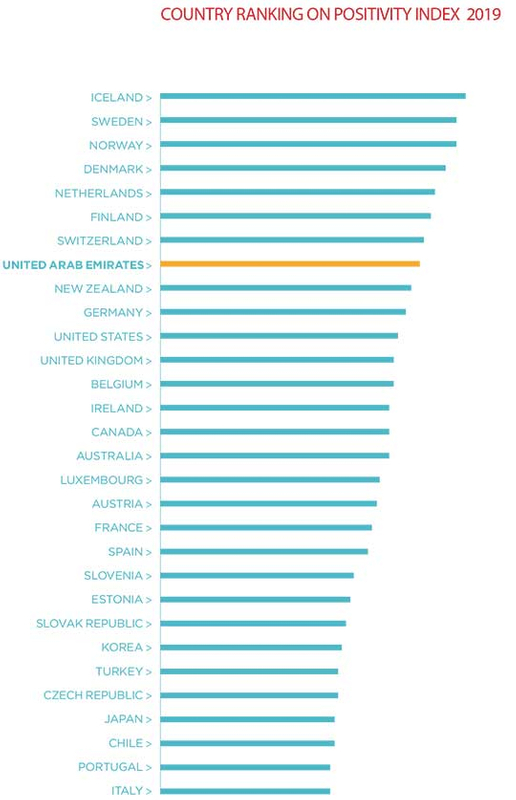 The UAE, included in the Index as a non-OECD country for the first time since its creation, outperformed 27 out of the 34 OECD member countries — including the United Kingdom, the United States, France and Australia. 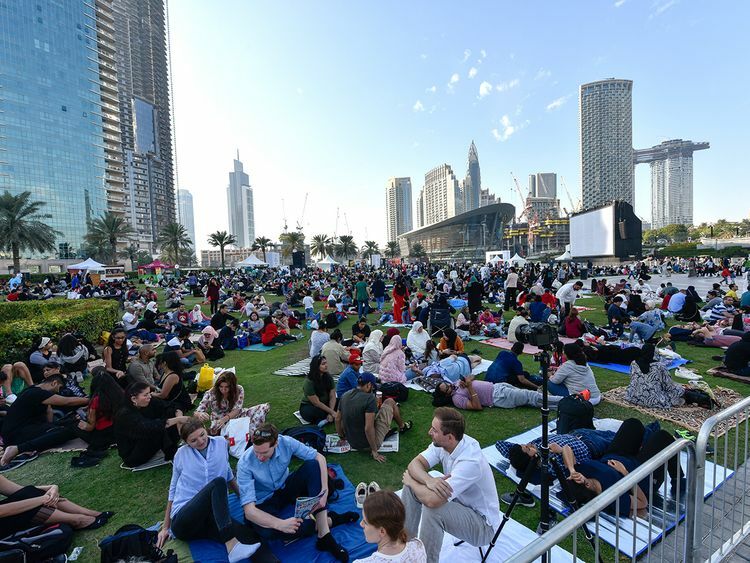 The UAE’s advanced ranking on the Index is a result of its high levels of wellbeing and its positive behaviour nationally, regionally and globally. It's also an outcome of the UAE’s continuous efforts in forecasting the future, keeping pace with its variables, and anticipating opportunities and challenges in various vital sectors. The UAE has also achieved this position due to its rapid efforts in developing the education sector, initiatives in achieving gender balance in various areas of life and work, the government’s efforts in empowering all segments of society and promoting positive connectedness among its members — as well as announcing 2019 as the "Year of Tolerance". The first dimension, “Educate and Finance Future Generations”, includes positive finance, positive education and positive solidarity. The second dimension, “Preparing Adequate Infrastructure for Future Generations”, includes positive resources and positive connections. The third dimension,“Building a Consensus for Future Generations”, covers indicators of positive governance, positive dynamics, positive inclusion and positive participation. 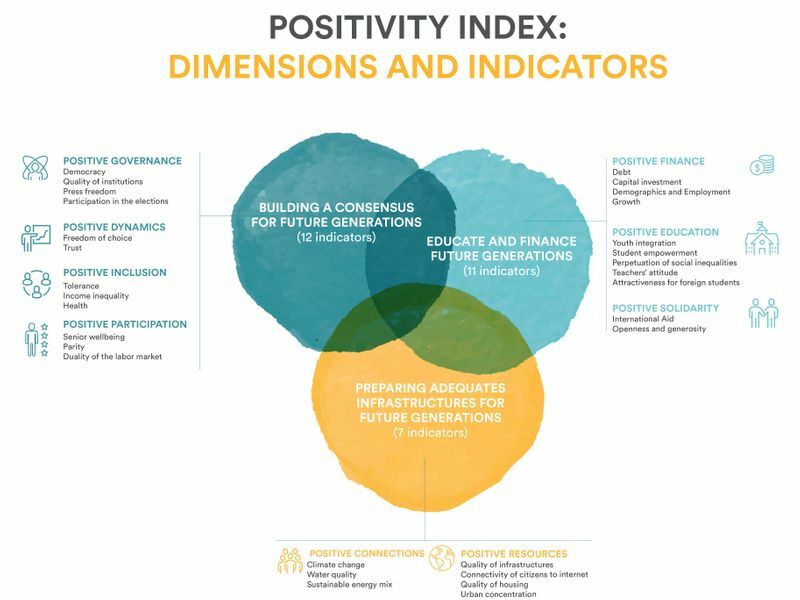 Since its first publication in 2013, the Positivity Index of Nations has aimed to put future generations at the center of government work. It measures the ability of countries to contribute positively – both nationally and globally – through three main dimensions, which are measured using 30 indicators. The Positive Economy Institute is a specialised institution of the positive planet, established in 1998, to build a better world for future generations by encouraging international commitment to a better future and developing a sustainable, sustainable economy. The Institute, headed by French economist Jacques Attali, develops solutions and practices aimed at raising awareness among governments, corporations, non-profit organisations, universities, media, investors and individuals about the positive economy. It works with partners around the world to propose sustainable actions that build a positive economy and a better world for future generations.